Many people who own gas grills are familiar with the dreadful situation of coming home with some nice delicious patties for burgers, turning on the grill, and realizing that it won’t work because you are out of gas. This is not only a common problem, but can also be a very embarrassing problem as well if you have guests over and you can’t even grill the food for the night. 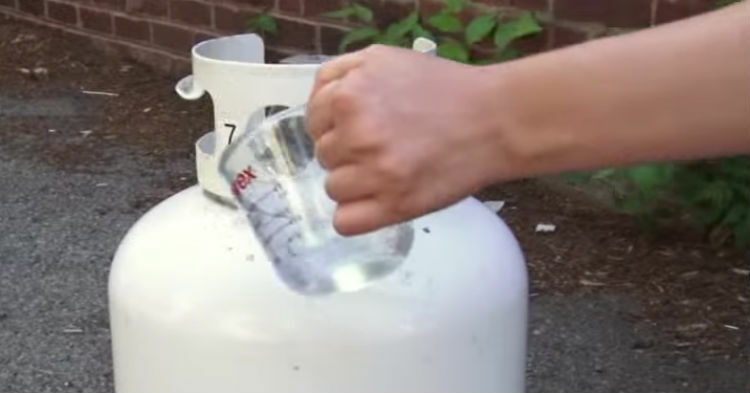 Luckily, there is a simple trick that you can use to make sure you never run out of propane ever again, you can watch it below and let us know if you have any quick grill hacks in the comments!